If you are looking for information on the Gamin' Ride franchise business opportunity, Gamin' Ride franchises or Gamin' Ride franchising, then you have come to the right place. 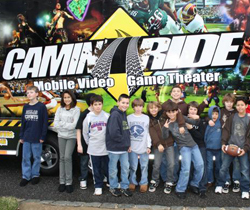 Gamin' Ride is an entertainment theater on wheels. The adventure rolls up to doorsteps hosting events from birthdays to corporate, community and fundraisers around town. 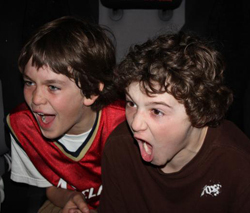 Gamin' Ride is an affordable alternative to traditional parties offering something new and exciting. Best of all, it's all held in the convenience of the host's own location. Our air-conditioned and heated unit has the latest and greatest gaming systems such as XBOX 360, PlayStation 3 and Nintendo Wii. All of our events are hosted by a Game Guru who brings all participants together regardless of skill level. With so many kids and adults into video gaming, marketing a unique way to play these games in a fun, social environment is proving to be a very interesting concept. We are forging new ground with this concept and the future is bright.